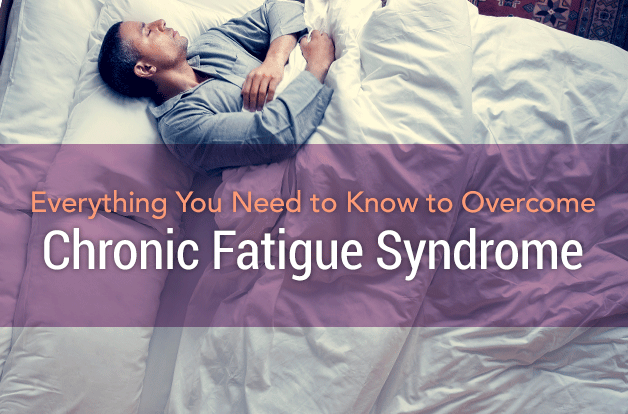 No one would be surprised to learn that chronic fatigue syndrome (CFS) is characterized by fatigue. What is surprising — at least, to non sufferers — is the vast extent of that fatigue. Because if you have CFS, you feel like the life force has been drained from your body. Worse, that unrelenting oppressive fatigue nags you every minute of your waking hours, no matter how much sleep or rest you get. Fatigue, however, is never the only symptom. This epic list is nearly identical to that associated with fibromyalgia. In fact, people often struggle between the two diagnoses and land on chronic fatigue syndrome because fatigue is the most pronounced symptom; those with greater pain generally settle on fibromyalgia. The difference between the two is often very subjective. And to make things even more confusing, chronic fatigue seems to be less a single illness than a collection of variations of symptoms. Having a formal diagnosis of chronic fatigue syndrome however, won’t get you very far. Like fibromyalgia, CFS is classified as a disorder, not a true disease. The difference? A disorder is a condition for which medical science does not recognize a known cause or cure; a disease has both a known cause and cure. In other words, there are no labs, diagnostic procedures, or physical findings that define CFS — it’s defined only as a collection of symptoms. The most many doctors will have to offer is drugs to treat your symptoms while you remain chronically ill. If you’re fed up with debilitating fatigue, and ready for a new understanding of what’s really to blame for chronic fatigue syndrome — and the natural remedies that work to overcome it — keep reading. Chronic fatigue syndrome has a long history of identity crisis, which comes back to the many different ways people experience it. While everyone with CFS has some level of immune dysfunction, impaired adrenal function, neurological dysfunction, and cardiovascular dysfunction, some people experience more intense symptoms in one specific area. Chronic fatigue and immune dysfunction syndrome (CFIDS): This label goes to a subgroup of patients showing well-defined laboratory evidence of immune dysfunction such as low white blood cell counts, notably natural killer cells. Myalgic encephalomyelitis (ME): Sufferers with a higher degree of functional disability and prevalence of debilitating neurological symptoms are sometimes labeled as having ME. Some experts define myalgic encephalomyelitis and chronic fatigue syndrome to be one in the same; others say they’re two completely separate entities with overlapping symptoms. Adrenal fatigue: Sufferers found to have laboratory evidence of adrenal dysfunction (low cortisol levels) are identified with the label of adrenal fatigue. Decreased or dysfunctional cortisol is associated with impaired response to stress, disrupted circadian rhythms, and dysfunctional sleep. Treatment with cortisone (a synthetic version of cortisol) is marginally beneficial and does not typically result in long-term improvement. Postural tachycardia syndrome (POTS): Many CFS patients have impaired cardiovascular function with low blood pressure and low blood volume. This results in the added symptom of postural hypotension (fainting with standing), and has led to yet another subgroup of patients labeled with POTS. The CFS name game doesn’t stop there. Many practitioners suspect an underactive thyroid is to blame for any significant fatigue, and it’s fairly common to find some degree of thyroid dysfunction in those with CFS. Unfortunately, the relief that comes with being given the treatable diagnosis of hypothyroidism (underactive thyroid) typically later gives way to disappointment: Thyroid medications are often only marginally beneficial in patients with the full range of chronic fatigue symptoms. Interestingly, many sufferers find they no longer need thyroid medication after wellness is restored following a natural protocol. Not to be left out are the chronic fatigue sufferers with a prevalence of digestive dysfunction who experience a range of digestive issues. 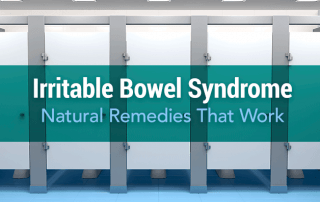 They often associate with a diagnosis of irritable bowel syndrome (IBS) — yet another condition for which medical science is short on explanations or treatments. Some people identify with the label “mitochondrial dysfunction,” which is central to the problem of chronic fatigue. Mitochondria are organelles in cells that are the source of power for all functions in the body, and loss of power contributes to all the symptoms of chronic fatigue. Though mitochondrial dysfunction is often listed as a cause of chronic fatigue, it is actually just part of the overall process — other factors cause mitochondrial dysfunction. Here’s a good point to distinguish between dysfunction processes and the underlying causes of dysfunction. All of these manifestations of CFS — immune dysfunction, mitochondrial dysfunction, neurological dysfunction, cardiovascular dysfunction, digestive dysfunction, adrenal dysfunction, and even thyroid dysfunction — are all part of the illness, but not direct causes of the illness. They are simply processes in the body that have become disrupted by other forces. Uncover those forces, and you start getting to the real roots of CFS. 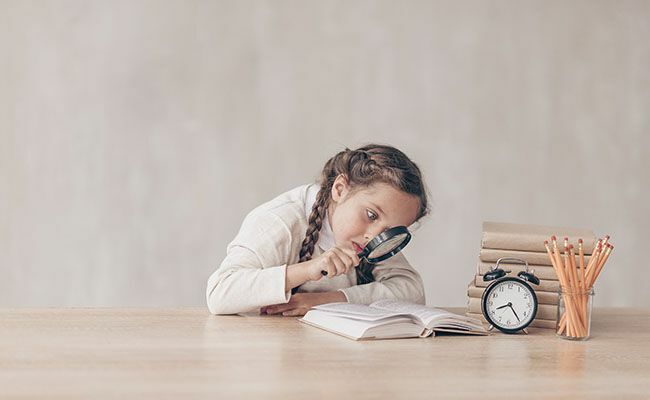 One hint comes from the fact that CFS was originally called Epstein-Barr virus syndrome because of its common association with reactivation of Epstein-Barr virus (EBV), a herpes-type virus that’s also been linked with chronic Lyme and fibromyalgia. The name was changed, however, after evidence of other viruses, including cytomegalovirus (CMV), human herpesvirus 6 (HHV 6), enterovirus, parvovirus B19, and murine leukemia virus, were also found in association with CFS. 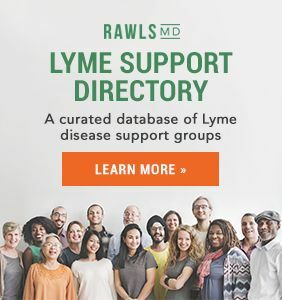 Additionally, a variety of bacteria, including mycoplasma and borrelia (the microbe associated with Lyme disease) have also been implicated as possible causes of chronic fatigue syndrome. Frankly, microbes are an obvious suspect for causing CFS, especially when you consider that most sufferers describe their misery as a never-ending flu — an illness we know is caused by microbes. And yet oddly, medical science has discounted the possibility. Secondly, researchers point out that all of the microbes in question can also occur in healthy individuals. True, but you could say the same for bacteria like E. coli and Staphylococcus, which we all harbor in our gut every day with nary a sign of infection — unless they’re able to overgrow and overpower the “good” bacteria that are keeping them in check in the microbiome (the sum of the roughly 100 trillion microbes we each carry). The third argument: Patients with CFS do not respond to antibiotics or antivirals. Interestingly, research in the journal Pediatric Transplantation has shown that reactivated Epstein-Barr virus uses a unique mechanism of replication, making it immune to current antiviral therapy. Intensifying the frustration of finding an explanation, many doctors don’t even recognize the existence of any form of CFS. A survey in 2005 found that half of general practitioners in the UK don’t believe that chronic fatigue syndrome exists. A similar degree of denial exists in the U.S. 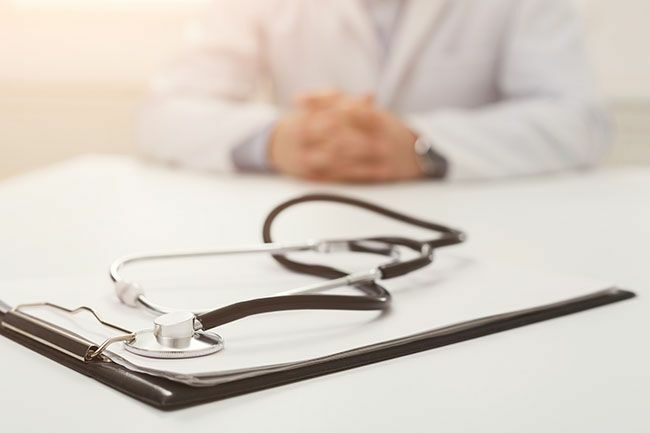 This may, however, just be an indication that healthcare providers are as frustrated as patients are about the name confusion surrounding fatigue syndromes and the lack of clear-cut treatment protocols for any of them, making it easier to just ignore the problem. Caught in the middle, most sufferers of chronic fatigue are left feeling frustrated and abandoned. 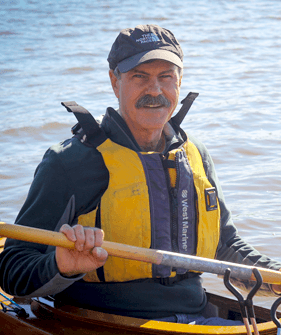 I learned firsthand the struggle to understand fatigue-related disorders when a personal encounter with debilitating fatigue around age 50 forced me to see them differently than most physicians. After years of intense night call as an OB/GYN and keeping some pretty poor health habits, I was gradually propelled into chronic misery and had to give up my practice as a result. I experienced the full range of symptoms common to chronic fatigue syndrome. And like most sufferers, I struggled between a diagnosis of CFS and fibromyalgia, but ultimately chose fibromyalgia because of pain issues. 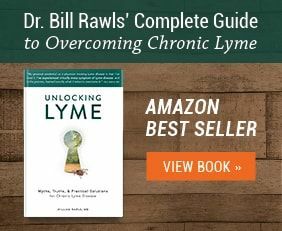 Later, after a tick bite with a bull’s eye rash, I concluded that I had been suffering from chronic Lyme disease all along. Now, after more than a decade of research and trial and error with nearly every possible conventional and alternative treatment, I’m finally well again. 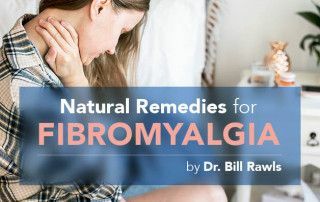 In the process, I’ve also come to the conclusion that all three of these illnesses — chronic fatigue syndrome, fibromyalgia, and chronic Lyme — are variations of the same fundamental problem: Loss of energy that can be sourced to mitochondrial dysfunction and disrupted communications within the body. At a microscopic level, cells require energy to function. All functions in every cell in the body are powered by mitochondria. Depending on cell types and functions, cells contain hundreds to many thousands of mitochondria. If mitochondrial functions are compromised, or if there is a net loss of mitochondria, cells suffer energy loss. Without energy, all functions in the body are compromised, and symptoms — especially fatigue — are inevitable. To function properly, all of our cells and tissues must communicate with one another, which requires an extremely complex network of nerves, neurotransmitters, hormones, and other messaging systems. If communications break down, then the functions of our various systems — immune, adrenal and thyroid, nervous, cardiovascular, detoxification, and digestive — become disconnected and efficiency is lost. 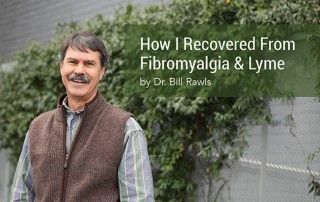 The resulting fallout is all of the symptoms common with CFS, fibromyalgia, and chronic Lyme. 1. Unnatural diet: The modern Western diet consists predominantly of processed foods and fatty grain-fed meats that are loaded with excessive carbohydrates, unhealthy fats, and other components that our digestive tract simply isn’t equipped to handle. Carb-loaded, high-energy foods drive mitochondria too hard, intensifying damage caused by free radicals and leading to mitochondrial burnout. Poor diet also disrupts hormone pathways in the body and strongly suppresses immune system functions. 2. 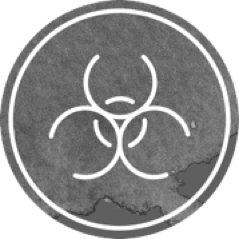 Toxic environment: Our world is saturated with hidden toxins and toxicants that compromise the production of cellular energy, disrupt hormone systems, and suppress immune system functions. Many toxins also directly disrupt mitochondrial functions. Artificial energy from our computers, cell phones, and electrical devices only amplify the effect. 3. Chronic stress: Seems like modern life automatically comes with a certain level of pervasive, low-grade tension. Chronic stress is like never letting up on the accelerator — it drives energy systems too hard without allowing time for recovery. Mitochondrial dysfunction is the inevitable result. Maintaining a constant state of alert stresses all systems to the breaking point, especially immune system functions. 4. Sedentary lifestyle: Most of us have sedentary jobs, and prolonged inactivity (especially sitting in front of a computer) is actually stressful to the body. It’s associated with decreased blood flow, retention of toxins, immune dysfunction, decreased endorphins, and low energy. Conversely, regular physical activity normalizes hormone pathways, promotes immune system functions, and enhances mitochondrial activity. 5. Microbes: Wellness is associated with a strong prevalence of normal flora and high diversity of the microbiome. But all of the system disruptors play a role in limiting that diversity, with a shift toward potential pathogens that are a constant challenge to the immune system. Microbes have always had strong links to human illnesses, and fatigue-related illnesses are not excluded. 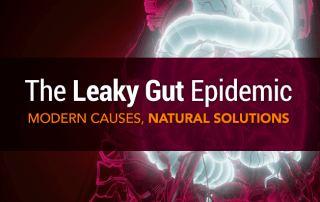 While all of these system disruptors make some contribution to the occurrence of chronic illness, microbes are the only factor that could cause the degree of disruption common to fatigue disorders like CFS. In my opinion, medical science has been short-sighted in discounting microbes as an underlying cause of CFS and other fatigue-related illnesses. Again, just because a single microbe hasn’t emerged as causative, that doesn’t exclude microbes as a possibility. I mentioned influenza earlier; chronic Lyme disease provides another, perfect example of how multiple microbes can disrupt systems in the body. Though acute Lyme disease is classically associated with a single microbe (borrelia), chronic Lyme disease is always associated with coinfections with multiple other microbes. 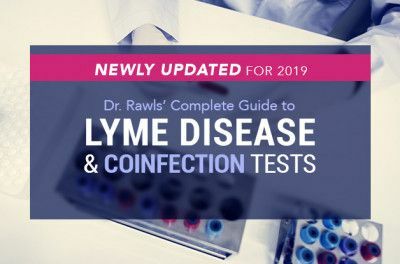 The list of possible coinfections includes mycoplasma, bartonella, babesia, anaplasma, ehrlichia, and rickettsia, but new microbes are being added to the list on a regular basis. 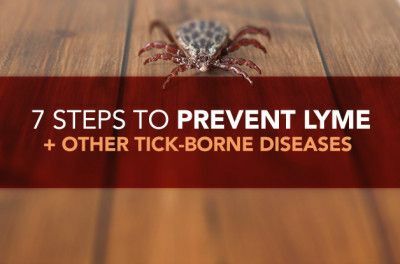 In addition, most everyone with chronic Lyme disease is also found to have reactivation of EBV and a variety of other viruses. The potential for these microbes to cause illness is often discounted by medical science because they don’t follow the same rules as aggressive microbes that cause acute illness. Often called stealth microbes, these microbes avoid being detected by manipulating the immune system’s communications. Upon entering the body, they hitch a ride by infecting white blood cells, and are distributed to all tissues in the body, where they set up shop. Typically, stealth microbes don’t cause much fanfare upon entering the body (acute infection is mild), but chronic infection is common. They quietly reside in tissues, not causing symptoms unless immune system functions become disrupted. Stealth microbes are not a specific type of microbe, but instead, a diverse group of microbes that share the similar survival strategy of being able to live inside cells (intracellular). The group includes bacteria, viruses, protozoa, and even some fungal species. Because they use similar strategies of survival, they cause a similar range of symptoms when illness occurs. The link between fatigue-related illnesses and pathogens that have the ability to live inside our cells is especially strong. When stealth microbes infect cells, they take over the machinery of the cell to generate more microbes. This includes commandeering mitochondria to provide energy. Some microbes drain energy from mitochondria directly. If enough cells in the body are affected, fatigue and other symptoms are bound to occur. All stealth microbes infect white blood cells of the immune system, giving them an enormous survival advantage. Hijacking white blood cells provides a free ride to all tissues of the body. Once distributed out to the far recesses of the body, microbes can silently set up shop while staying partially shielded from immune system functions. Infecting white blood cells also opens up a pathway to disrupt immune system communications, thus diverting attention away from the microbes. Beyond white blood cells, different microbes specialize in infecting different cell types. Mycoplasma commonly infects cells that line organs, typically the lungs, intestinal tract, and genital tract. Borrelia bores into cartilage, especially in joints and the brain. EBV prefers glandular tissue. Bartonella and babesia specialize in cells that line blood vessels. The fact that multiple microbes can be present in one person may help explain all the variations of fatigue-related syndromes. Microbes with stealthy characteristics are certainly not limited to Lyme disease and are extremely common in nature — my research has revealed well over 100 microbes that fit the description of stealth microbe. You can pick them up from breathing contaminated air, ingesting contaminated food and liquid, having intimate contact with other people, or being bitten by an animal or an insect. Different microbes prefer different routes of transmission. The microbes, however, are not generally the factor that initiates chronic illness. Even though they may seem very sophisticated, these microbes are very common in nature, and the immune system is well versed in all of their tricks. Typically a stalemate is reached, where the microbes are not eradicated but potential for harm is kept in check — they can lie dormant in tissues for years without causing problems. It’s only when other stress factors from the list of System Disruptors come together, either acutely or chronically or both, and disrupt immune functions that stealth microbes hidden in tissues are able to flourish. If immune functions are sufficiently compromised, it’s typically not just one microbe that flourishes, but instead a whole pot boiling over of a variety of potential disease-causing microbes living in the margins of the microbiome that cause chronic illness. Once the pot starts boiling, all functions in the body are disrupted, causing a vicious cycle of misery that can last a lifetime. The fact that every person with chronic fatigue has different genetics, is exposed to different stress factors over a lifetime, and ends up with a different variety of strealth microbes (everyone’s microbiome is as unique as a snowflake) explains why there are so many variations of fatigue-related illnesses. In essence, every individual suffering from chronic fatigue is experiencing a unique illness — and yet they all share the same solutions. Getting well requires undoing the things that contributed to your misery in the first place. Once you minimize or eliminate the root causes (aka, the five System Disruptors), amazing things happen. Cells are reenergized. Normal communication pathways become re-established. Immune system functions rebound. Adrenal and thyroid functions normalize. Nerves and neurotransmitters calm, and the brain starts functioning again. Healing can take place, and symptoms, including fatigue, gradually resolve. But to get well, you must want to be well — more deeply than anything you have ever wanted. Ultimately, becoming well is your responsibility, and you alone must put the effort forward to make your recovery happen. This doesn’t exclude having positive relationships with healthcare providers, family, and friends, which are all much to your benefit. But when you leave behind a total dependence on others to rescue you from misery, and take a stand to regain wellness that is rightfully yours to enjoy, you become a new person with a renewed purpose in life. That renewed purpose will carry you back to wellness and beyond. Even with renewed spirit, however, you’ll need a plan to follow. 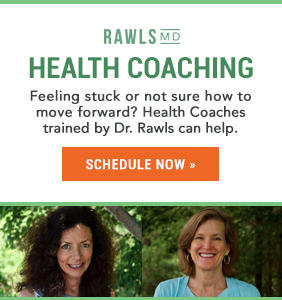 The following guidelines provide the basic outline for the strategy I used personally to recover wellness, and that I’ve since shared to successfully help thousands of others. You can follow in their footsteps. The guidelines are broken down into five steps that can be followed in sequence or done simultaneously, though I highly recommend making the first step your top priority. Each of the steps addresses the independent components essential for deactivating System Disruptors so your recovery can move forward. Suppressing overgrowth of stealth microbes in tissues and restoring balance to the microbiome as a whole is your first order of business. Though disruptive microbes aren’t always the factor that initiates chronic fatigue, they are the primary factor perpetuating your misery and keeping you from becoming well. Synthetic antibiotics might seem like a logical choice, but short-term use of antibiotics is ineffective against stealth microbes, and taking them long-term further disrupts the microbiome and immune system functions. It’s like bringing big guns to bear against a group of terrorists spread out across a city, hiding out among civilians: It destroys the infrastructure of the city and kills a lot of civilians unnecessarily. Instead, the battle against stealth microbes is won by persistence, not aggression. It’s a matter of keeping the pressure on, and wearing them down over time. This allows normal communication pathways to resume, and the immune system to rebound and reclaim its job of weeding out the threats. For that purpose, modern herbal therapy is a natural fit. Consider the fact that plants are constantly being threatened by a wide range of microbes, including bacteria, viruses, protozoa, and fungi — just like we are. And all plants produce a wide spectrum of biochemical substances with a broad range of antimicrobial properties. These substances selectively suppress potential pathogens, without harming friendly flora. The broad spectrum of antimicrobial substances found in many herbs are particularly valuable for overcoming illnesses that are likely linked to stealth microbes. Though they are quite toxic to microbes and insects, humans metabolize them quickly and easily, without experiencing any harm. This is because our ancient ancestors consumed the same plants for millions of years — we are well adapted to metabolizing them. The range of benefits provided by herbs extends well beyond antimicrobial properties. Their spectrum of biochemical substances offer protection against a wide array of stress factors that compromise cellular and tissue functions. When stress factors are minimized, energy is restored to cells, and tissues are allowed to function normally. Communication pathways between cells and tissues are re-established, and the body begins functioning properly as a unit again. Because different herbs provide a slightly different spectrum of properties, herbal therapy works best when multiple herbs are combined to provide broad spectrum coverage. Thankfully, the inherent toxicity of herbs is so low that multiple herbs can be taken together for long periods of time (months and even years) without harm. 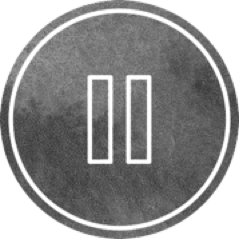 In fact, for overcoming fatigue-related disorders, that’s exactly what it takes — remember, this struggle is won through persistence and patience. Herbs provide broad-spectrum antimicrobial properties. The biochemical substances present in herbs not only suppress stealth microbes embedded deeply in tissues, but they also keep potential disease-causing microbes in the gut microbiome in check. Benefits include suppression of bacteria, viruses, protozoa, and fungi. My favorite herbs with antimicrobial properties include Japanese knotweed, andrographis, cat’s claw, allicin from garlic, sarsaparilla, Chinese skullcap, and berberine. Herbs help re-establish normal communication pathways. Many herbs provide immune-modulating properties, which means they inhibit dysfunctional chemical messengers (called cytokines) that are generated by the microbes, helping to restore the ability of the immune system to communicate and function normally. This also includes tamping down the immune overactivity that leads to destructive inflammation. 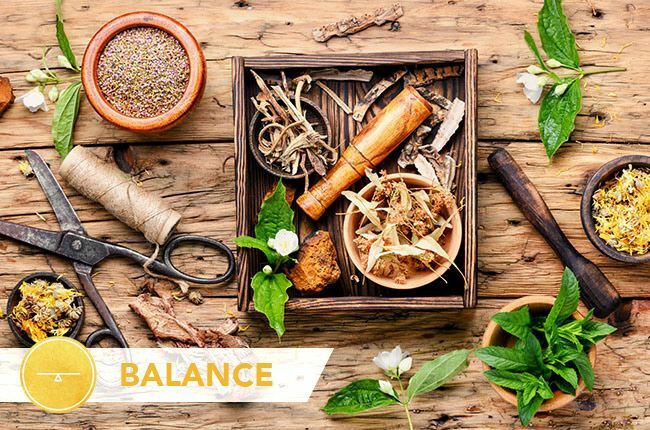 In addition to normalizing the immune system’s chemical messengers, herbs called adaptogens help balance hormones and neurotransmitters in the body. The result is increased resistance to all types of stress, improved stamina, and more normal sleep at night (without daytime drowsiness). For immune-modulating adaptogens, I like to recommend reishi, cordyceps, rhodiola, and rehmannia. Herbs restore cellular functions. The complex blend of natural antioxidant substances found in herbs protect mitochondria, the energy centers of cells. Antioxidants also reduce inflammation and promote healing of damaged tissues. This stabilizing effect of herbs enhances cellular functions, protects tissues, and re-establishes communication pathways to all messaging systems in the body. Modern use of herbs has evolved well beyond ancient traditions, in part due to a growing body of science confirming herbs’ benefits and profound ability to interact with human physiology. That being said, there is a high degree of substandard herbal products on the market — getting good results is highly dependent on using quality products. If you’ve tried herbal therapy without positive results, it’s likely because the proper synergy, potency, and quality were lacking. What’s more, you may not have taken them long enough. Healing takes time — months and even years is required to gain full effect, not just days or weeks. A comprehensive protocol of medicinal herbs ultimately saved me. With this in mind, I curated what really worked for me and created an herbal protocol to help others benefit from the remarkable powers of modern herbal therapy. 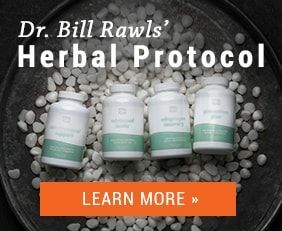 The protocol simple: four formulas with the 50 ingredients I’ve found to be most effective for suppressing microbes and restoring healthy immune function, each taken twice daily. This synergistic blend provides the core herbs from the Buhner protocol, including Japanese knotweed (trans-resveratrol), andrographis, cat’s claw, and sarsaparilla, along with stabilized allicin from garlic to extend coverage against protozoa, viruses, and yeast. Reishi mushroom and cordyceps in this formula reduce inflammatory messengers (cytokines) generated by the microbes and normalize immune functions. Chinese skullcap, which provides activity against Mycoplasma and viruses, and rheumannia, which suppresses autoimmunity, are also key ingredients in the formula (initially this formula contained eleuthero, but it was too stimulating for some people with chronic illness). The natural ingredients in this formula, including glutathione and NAC, in this supplement are designed to optimize detoxification and counter damage caused by free radicals at a tissue level and inside cells. This is essential for restoring energy to the body at a cellular level. These same ingredients protect tissues from toxins and help remove toxins, including heavy metals from tissues. This formula provides essential vitamins and nutrients in activated form. This is very important for people with methylation mutations (MTHFR), who need activated B vitamins (5-methyltetrahydrofolate, pyridoxal-5-phosphate, methylcobalamin) to get well. The formula also contains herbal ingredients, including hawthorn, French maritime pine bark, and resveratrol, for optimizing blood flow and supporting cardiovascular function. Optimal tissue protection is provided by milk thistle for liver support and a variety of herbal antioxidants. Once you’ve begun using herbs to build a foundation for recovery, you still need to complement them by creating a healing environment within your body. This requires a comprehensive holistic approach. Here are the key additional steps for successful, natural recovery. Optimal nutrition is vital for overcoming any kind of chronic illness and related digestive issues. 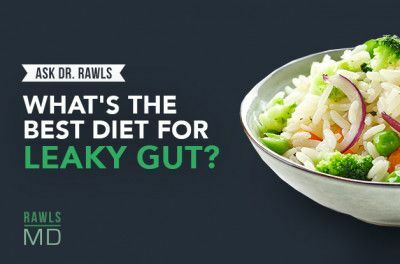 The right diet supplies the body with the proper balance of nutrients necessary for healing, acquired from foods that are naturally easy to digest, promote the growth of normal microbes in the gut, and support healthy metabolism. To eat this way means leaving behind the processed food products that have come to dominate the modern food supply and are loaded with carbohydrates and toxic fat. These foods are mostly derived from processed forms of wheat, corn, soybeans, and sugar, all of which disrupt immune system function, communication, and all other systems in the body. The best diet for overcoming chronic fatigue syndrome (and all chronic illness) can be boiled down to six basic guidelines. Follow these, and you’ll quickly propel your recovery in a forward direction. Vegetables are the key to wellness. Your diet should include a higher proportion of vegetables that any other food source. Vegetables provide an optimal balance of vitamins, minerals, other essential nutrients, and natural fiber for promoting good bacteria in the gut and normal intestinal motility and detoxification. Fruits can also be on your list, but should be in lower proportion than vegetables because of their higher sugar content. Minimize labels. Your target should be to make 90% of the foods you eat free from packaging or complex labels. This naturally makes way for more whole, freshly-prepared foods in your diet, and that alone will dramatically improve the health quotient of your diet. Choose healthful protein sources. Wild-caught fish and farm-raised poultry and eggs are the healthiest sources of complete protein and healthful fats. Complete vegetarian protein sources include soybeans and fermented soy products such as tofu and tempeh, hemp, buckwheat, quinoa, chia seeds, amaranth, spirulina, and rice and beans combined. Diversify your food sources. 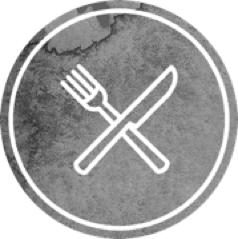 Food sensitivities are more common in people who eat the same foods over and over again. When you shop, make an effort to try new foods and rotate in those you haven’t been eating regularly. 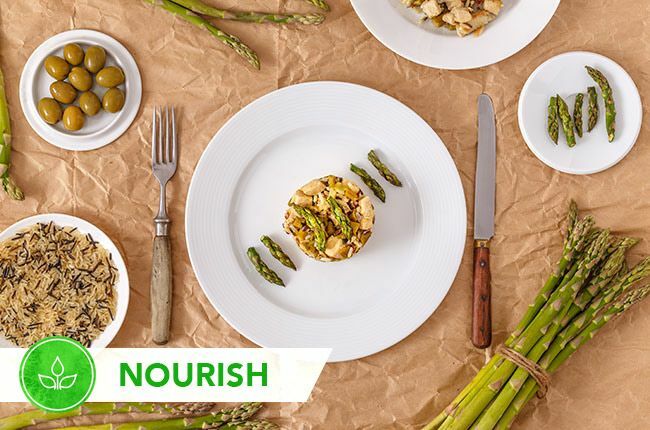 The more you change things up (with vegetables still predominating), the more likely you’ll get all the vital nutrients you need for recovery. Stay hydrated. Adequate hydration is essential for healthy cellular functions. Water is the best beverage option, but fruits and vegetables are a great way to eat your H2O. Water trapped inside their cells provides continual hydration as the food breaks down during the digestive process. Other good options to break up the boredom include tea sweetened with a small amount of natural sugar such as honey, or mineral or sparkling water with a splash of lime, lemon, or other fruit juice. Avoid soft drinks and fruit drinks because they are loaded with sugar. Get more omega-3s. These healthful fats help reduce inflammation, support heart health and cognitive function, and more. Top sources include salmon, krill oil, nuts such as pecans and walnuts, and avocados. Fill up on nutrients that support optimal mitochondrial function. Beyond eating a healthful diet, taking certain nutritional supplements provides key components of the machinery used by mitochondria to generate energy. These ingredients include glutathione, NAC, alpha lipoic acid, coenzyme Q10, and activated B vitamins. When the body is in a dysfunctional state, its ability to remove toxins we take in from the environment or generate ourselves is compromised. And the more toxins accumulate, the more healing functions are inhibited, which makes purging them and simultaneously enhancing the detoxification systems of the body a priority for overcoming chronic fatigue. Toxic substances can enter the body in three ways: by mouth, breathing, and absorption through the skin. If you live in a contaminated environment (and the vast majority of us do), your wellness potential will be affected by toxic substances. Filter your drinking water. Adding an inline filter to your water supply is the easiest thing you can do to reduce toxin overload. Filters can be placed for the whole house water supply, for drinking water only, or both. When you’re away from home, look for beverage products made from filtered water and contained in glass versus plastic. Eat fresh vegetables. Fresh produce promotes normal digestive and liver functions, which enhances detoxification. Once toxic substances are neutralized, dietary fiber from vegetables and fruit hold onto neutralized toxins for removal from the body. Choose organic whenever practical. Foods produced using toxic chemical pesticides, hormones, and antibiotics have known health concerns. Enjoy nature. Simply being in the presence of plants and nature promotes wellness. Dense vegetation soaks up artificial organic toxins like a sponge, plus plants emit beneficial oxygen, negative ions, and electron-rich volatile organic chemical compounds. Breathing negative ions neutralizes free radicals in the body; waterfalls and open water are also rich in negative ions. Scrub your indoor air. Indoor plants are pleasant way to clear the air. Changing the filters on HVAC systems and minimizing clutter reduce airborne dust and allergens. Opt for natural, non-toxic cleaners, such as ammonia and vinegar, and avoid using those containing synthetic chemicals. Be wary of mold. Experts say every home has some detectable level of mold, often hiding out in basements, crawl spaces, attics, bathrooms, water damaged areas, and wallboard. Both mold itself and the mycotoxins it produces are severe immune suppressants in sensitized individuals. If you think you have a mold problem, call a professional, but be sure to find a reliable company — there are many fly-by-night scan artists out there. Quit smoking. Using tobacco products contributes a spectrum of toxic substances, including heavy metals, organic toxins, and electron-deficient positive ions. Wellness is not possible until the cigarettes are gone. Minimize artificial energy. The energy emitted by cell phones, laptops, computers, and computer screens is disruptive to your natural energy fields. Try to not keep your cell phone constantly on your person, take breaks from computers whenever possible, unplug your wifi when it isn’t in use, and get outside in open, natural, tech-free spaces. When your body is stressed by chronic illness, its communication systems break down and resources get stretched to the breaking point. Embodying a state of calm is necessary to engage your natural healing processes — and yet pressuring yourself to relax when you’re already at your edge isn’t exactly conducive to peaceful, easy feelings. Sleep plenty. I know one of the hallmarks of CFS is that no amount of sleep ever feels like enough, but trust me, your body is definitely using that time to regenerate. And as you incorporate other steps to minimize System Disruptors, sleep will gradually feel more and more restful. You need at least eight hours of good quality sleep every night; if you have trouble drifting off, make a habit of turning down the lights, cutting off the technology, and listening to light, restful music for at least an hour before you turn in for bed. Walk it off. 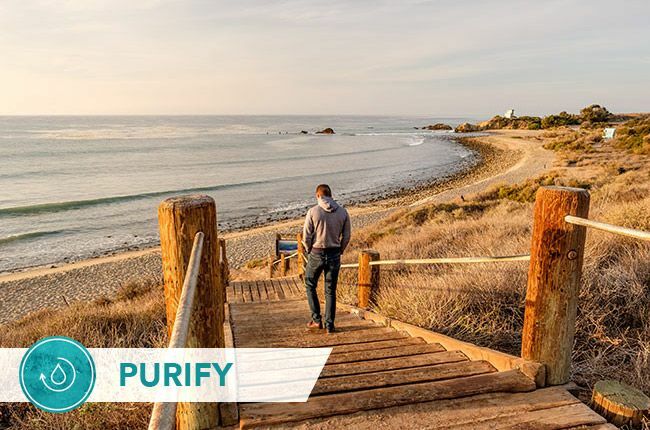 You’ve probably experienced the head-clearing benefits of a nice walk, and research in the Annals of Behavioral Medicine and elsewhere show it’s not your imagination — leisure physical activities like walking have been linked with lower levels of stress-related anxiety. Put on the brakes at least twice daily. Stress builds up steam like a train racing down a hill, but hit the brakes a few times and it will never reach full speed. A 15-minute meditation, yoga session, or midday mini nap is enough to normalize your stress hormones. Give up multitasking. Sure, it’d be great to get more things done at once, but at this point the science is pretty clear that multitasking doesn’t work for most anyone in any given situation. So stop trying to do it all, make a list of priorities, and focus on getting the first one checked off your list before stressing about the next. Ultimately, you’ll get more done, faster, with a lot less angst over unrealistic expectations. Don’t “should” yourself. We all have expectations of what we should be doing. It’s important to have goals, but also to be realistic about how much you can accomplish. You can actually limit yourself with goals you aren’t yet ready to reach, and cause more damaging stress in the long run. Let herbs help take a load off: Some that are excellent for calming the nervous system and supporting normal sleep include bacopa, passionflower, and motherwort. More potent herbs that promote sleep include valerian and kava, but these should be used on a limited basis because they act very similar to drugs and can have similar side effects. The human body is designed to move, and if it sits too long, everything stagnates. Staying in motion increases blood flow, which washes out toxins, stimulates healing, and increases oxygen delivery to tissues. It also stimulates endorphins, the natural feel-good chemicals that reduce pain and stimulate immune functions, as well as stem cells, which are necessary to repair damaged tissues. Go at your own pace. When your body is weak, maintaining posture and alignment is more difficult during exercise, so injury is much more likely. Start slowly, stretch regularly, and don’t level up the intensity until your strength improves and you truly feel ready to do more. If that takes weeks or even months, that’s just fine — any movement is good movement. Try qigong. Similar to tai chi, qigong (pronounced chi-gung) is a series of slow, gentle movements that increase feel-good endorphins and enhance posture, alignment, and balance. Sign up for a class, or check out YouTube for free guided videos. Practice restorative yoga. It’s a great way to send blood flow to areas of the body where flow can be restricted, plus it generates endorphins and stretches ligaments. Restorative yoga is a particularly gentle style; one class consists of just five to six poses supported by various props that enable you to deeply relax and revive. Swim slow laps. Or gently tread water in the shallow end where you can put your feet down if you get tired. Swimming is great for getting your circulation moving without putting undue pressure on your joints. Stop before it starts feeling bad, and cool down. If exercise increases fatigue or you start to “feel the burn,” back off or call it quits for the day. Generating pain and exhaustion is not the goal. Fully dedicating yourself to overcoming chronic fatigue syndrome can be difficult when the very symptoms you’re trying to nix — chiefly fatigue and pain — are the same ones holding you back from pursuing recovery. Healing takes time, and symptoms won’t go away until healing is complete. Fortunately, there are many herbs and other natural options for feeling better, sooner, even as you’re addressing the root causes of your misery. Cannabidiol oil (CBD): Derived from hemp, a legal form of cannabis, CBD is free of THC, the substance in marijuana that causes euphoria. CBD oil helps ease pain, supports immune system functions, calms an overactive nervous system, and brings on sleep in many people. In the case of chronic fatigue sufferers, it can help extricate them from the cycle of unrestful sleep and bring them back to balance. Hemp products are legal in most states and can be purchased online. Energizing adaptogens: These herbs are stimulating, but not in the same way as caffeine — they generally won’t leave you feeling jittery and drained, but rather bright and alert coupled with calm. My favorites are rhodiola, eleuthero, epimedium, and tongkat ali. Energizing adaptogens help skeletal and cardiac muscle increase their uptake of oxygen, thereby enhancing physical performance. They also enhance blood flow and support optimal cardiovascular performance. 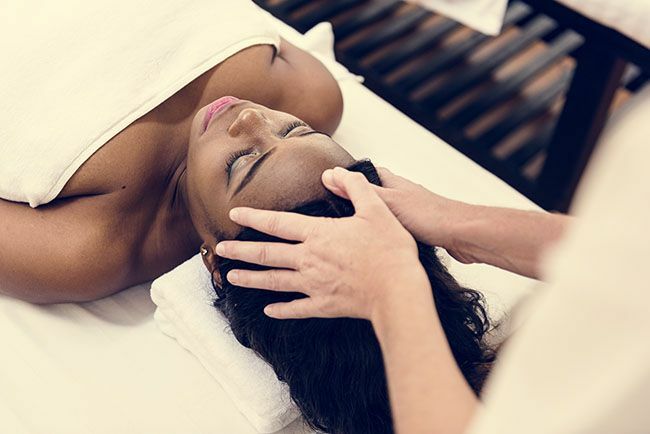 Reiki and polarity therapies: These energy-based healing methodologies are performed by a trained Reiki practitioner or polarity therapist. Both deal with movement of energy to help heal the body, though they have different origins and methodologies. Acupuncture: Another energy-based method, it involves insertion of needles into the body to redirect energy to many ends, in this case to cultivate balance and increase energy in the body. Far infrared saunas: They use light to create heat within your body, rather than making your surroundings hotter. These saunas help you with sweating out toxins, finding relief through increased circulation, and reducing inflammation. They may also tucker you out, so save this for when you have time to nap or sleep afterward. Pulsed Electromagnetic Field machines (PEMF): These machines use electromagnetic fields to stimulate cellular repair. They’ve been shown to help with chronic pain and inflammation, as well as healing bones. These devices are safe and don’t necessarily have to have skin contact to work properly. Transcutaneous Electrical Nerve Stimulation (TENS) units: TENS units use electricity to block pain signals from reaching your brain. 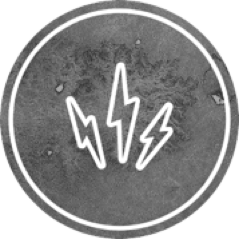 They involve the use of electrodes, so those with sensitive skin might have to take preventative measures to avoid issues. With that in mind, many find that TENS units bring them the reprieve from pain in their problem areas that they need to focus on the other healing methods mentioned above. I know we just covered a lot of ground, but my hope is that it feels supportive rather than overwhelming. What’s most important to remember is that while you don’t have to follow every last bit of advice above, there’s a lot you can do to overcome chronic fatigue syndrome. You possess the power to change your health fate, and the minute you take the reins is the minute you truly begin your recovery. 1. Rivas JL et al. Association of T and NK Cell Phenotype With the Diagnosis of Myalgic Encephalomyelitis/Chronic Fatigue Syndrome (ME/CFS). Front Immunol. 2018 May 9;9:1028. 2. Thomas MA, Smith AP. Primary healthcare provision and Chronic Fatigue Syndrome: a survey of patients’ and General Practitioners’ beliefs. BMC Fam Pract. 2005;6:49. 3. Bested AC, Marshall LM. Review of Myalgic Encephalomyelitis/Chronic Fatigue Syndrome: an evidence-based approach to diagnosis and management by clinicians. Rev Environ Health. 2015;30(4):223-49. 4. Rowe PC et al. Myalgic Encephalomyelitis/Chronic Fatigue Syndrome Diagnosis and Management in Young People: A Primer. Front Pediatr. 2017 Jun 19;5:121. 5. Blundell S, et al. Chronic fatigue syndrome and circulating cytokines: A systematic review. Brain Behav Immun. 2015 Nov;50:186-195. 6. Roerink ME, et al. Cytokine inhibition in chronic fatigue syndrome patients: study protocol for a randomized controlled trial. Trials. 2015 Oct 5;16:439. 7. Nakatomi Y, et al. Neuroinflammation in Patients with Chronic Fatigue Syndrome/Myalgic Encephalomyelitis: An ¹¹C-(R)-PK11195 PET Study. J Nucl Med. 2014 Jun;55(6):945-50. 8. Peterson D, et al. Cytokines in the cerebrospinal fluids of patients with chronic fatigue syndrome/myalgic encephalomyelitis. Mediators Inflamm. 2015;2015:929720. 9. Wyller VB, et al. Plasma cytokine expression in adolescent chronic fatigue syndrome. Brain Behav Immun. 2015 May;46:80-6. 10. Stringer EA, et al. Daily cytokine fluctuations, driven by leptin, are associated with fatigue severity in chronic fatigue syndrome: evidence of inflammatory pathology. J Transl Med. 2013 Apr 9;11:93. 11. Twisk FN. Accurate diagnosis of myalgic encephalomyelitis and chronic fatigue syndrome based upon objective test methods for characteristic symptoms. World J Methodol. 2015 Jun 26;5(2):68-87. 12. DeFreitas E et al. Retroviral sequences related to human T-lymphotropic virus type II in patients with chronic fatigue immune dysfunction syndrome. Proc Natl Acad Sci U S A. 1991 Apr 1;88(7):2922-6. 13. Ojo-Amaize EA, Conley EJ, Peter JB. Decreased natural killer cell activity is associated with severity of chronic fatigue immune dysfunction syndrome. Clin Infect Dis. 1994 Jan;18 Suppl 1:S157-9. Cohen J. Optimal Treatment for Chronic Active Epstein-Barr Virus Disease. Pediatr Transplant. 2009 Jun; 13(4): 393–396. 14. 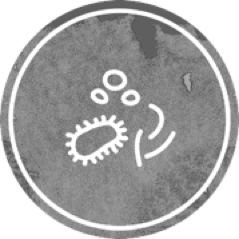 Kang M, Kief E. Epstein–Barr virus latent genes. Exp Mol Med. 2015 Jan; 47(1): e131. 15. Jha H, Pei Y, Robertson E. Epstein–Barr Virus: Diseases Linked to Infection and Transformation. Front Microbiol. 2016; 7: 1602. 16. Shen Y et al. Understanding the interplay between host immunity and Epstein-Barr virus in NPC patients. Emerg Microbes Infect. 2015 Mar; 4(3): e20. 17. Lossius A et al. Epstein-Barr Virus in Systemic Lupus Erythematosus, Rheumatoid Arthritis and Multiple Sclerosis—Association and Causation. Viruses. 2012 Dec; 4(12): 3701–3730. 18. Draborg AH, Duus K, and Houen G. Epstein-Barr Virus in Systemic Autoimmune Diseases. Clin Dev Immunol. 2013; 2013: 535738. 19. Dittfeld A et al. A possible link between the Epstein-Barr virus infection and autoimmune thyroid disorders. Cent Eur J Immunol. 2016; 41(3): 297–301. 20. Dunmire SK, Hogquist KA, and Balfour HH. Infectious Mononucleosis. Curr Top Microbiol Immunol. 2015; 390: 211–240. 21. Collin V, Flamand L. HHV-6A/B Integration and the Pathogenesis Associated with the Reactivation of Chromosomally Integrated HHV-6A/B. Viruses. 2017 Jun 26;9(7). 22. Twisk FN. Accurate diagnosis of myalgic encephalomyelitis and chronic fatigue syndrome based upon objective test methods for characteristic symptoms. World J Methodol. 2015 Jun 26;5(2):68-87. 23.Erin A. Almand et al. Virus-Bacteria Interactions: An Emerging Topic in Human Infection. Viruses. 2017 Mar; 9(3): 58. 24. Carmack CL et al. Aerobic fitness and leisure physical activity as moderators of the stress-illness relation. Ann Behav Med. 1999 Summer;21(3):251-7.